This appears to be American made. In my opinion probably in the 1800. 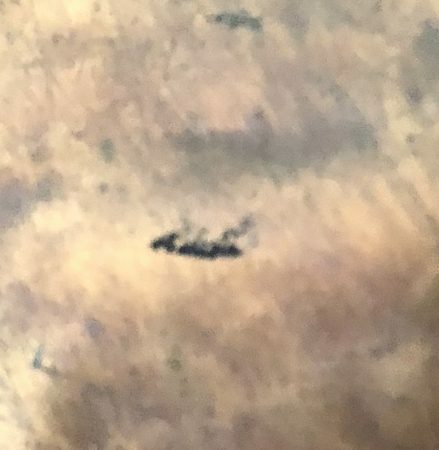 Without seeing the marks clearer, maybe you can check out http://www.oldcopper.org and search through the pages looking at coppersmith marks. 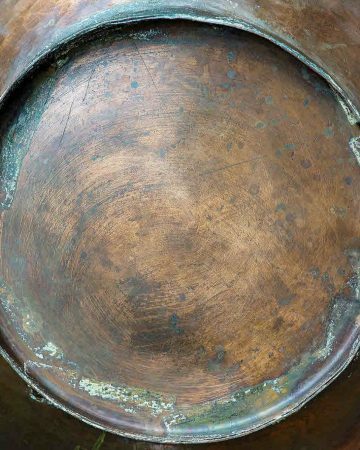 Most things made before the end of the 1800’s anywhere was not marked with coppersmith markings. Shortly after the industrial revolution, marks started appearing on item for retail purposes and as advertisement for future sales. Just look through the countless pages of marks until you find one that looks similar or exactly like yours. Hope this helps a bit. 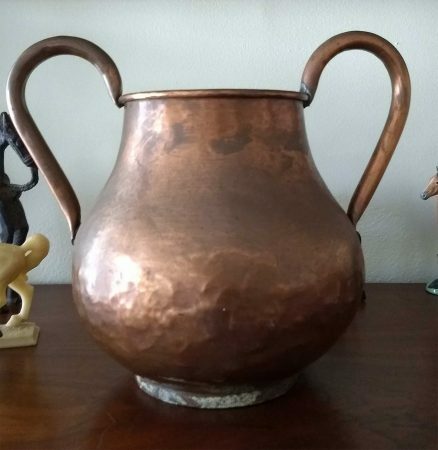 I am more versed on Copper steins and tankards, but willing to help when and where I can.